Spring – that magical time when Mother Nature shows her greening hand and casts it across the winter-blackened woodlands and hedgerows. The sun, as it climbs higher in the sky, is the alarm call to some of the finest countryside in the world. The crisp air sharpens the landscapes and seascapes, the moors and mountains, the lakes and rivers. So what are we waiting for? 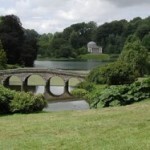 How about a morale boosting spring time break in the great British and Irish countryside? 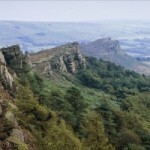 Elsewhere in our website we feature our National Parks. Take a look at what these fifteen wonderlands have to offer. The watery wilderness of the Norfolk Broads; the inspirational Lake District; the majestic Cairngorms; mysterious Exmoor; the gentle South Downs; Pembrokeshire Coast’s seaside spectacular…and so much more. Wildlife is up and about early this year. Catch it preparing for a new year by visiting our tremendous variety of bird and nature reserves. And our woodlands are ‘making up’ for summer. It is also a great time for walking the lanes, woods, moors and heaths. There are walking festivals planned for all parts this year. The Ramblers will help you out and about. 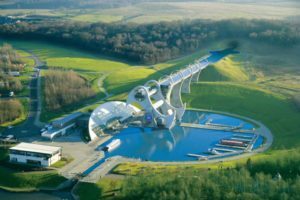 In Scotland, soar through the air on a canal boat on the Falkirk Wheel, go aboard a mighty windjammer in her homeport of Glasgow, then go underground and explore Scotland’s huge Secret Bunker, 100 feet beneath St Andrews. Take the Wales Way in the Year of Discovery. A trio of routes: the rugged North Wales Way starts in Anglesey, the Cambrian Way follows the spine of Wales and the Coastal Way rounds off a stunning tour. Start ticking off Ireland’s eleven cities. Literary Dublin, Titanic Belfast, medieval Waterford, Atlantic Galway and rebellious Cork. Then there are Georgian Limerick, ancient Derry~Londonderry, sacred Armagh, Lisburn and its linen, the Marble City of Kilkenny and mountain-bound Newry. Enjoy mapping England’s gastronomic geography. From north to south there areCraster kippers, Singin’ Hinny, Bakewell pudding, Scouse stew and pyclets. Then on to Bedfordshire clanger, Eton Mess, Sussex Pond pudding and Stargazy pie. And there are loads more. 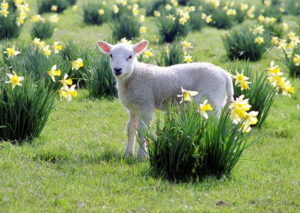 It’s so easy to find first-rate places to stay and enjoy the British and Irish way of spring time life. Use our brochure of bed and breakfast accommodation – The Little Green Book – and websites for B&B homes and self-catering. All the B&Bs and Cottages have been specially selected to ensure that they provide high quality accommodation. 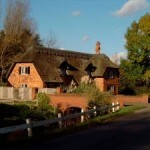 They range from country cottages to town houses, manor houses to farm houses – all offering a warm welcome and good value. 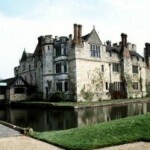 The hosts are all keen to promote their part of the country and suggest fun days out and how best to get there. …and even more in our Days Out Diary. For details on how to receive our brochure, The Little Green Book please follow this link.